Regular bikes can be used only on pavements and hard, uniform grounds, especially since they lack adequate traction for use on soft surfaces, such as sand, snow and mud. 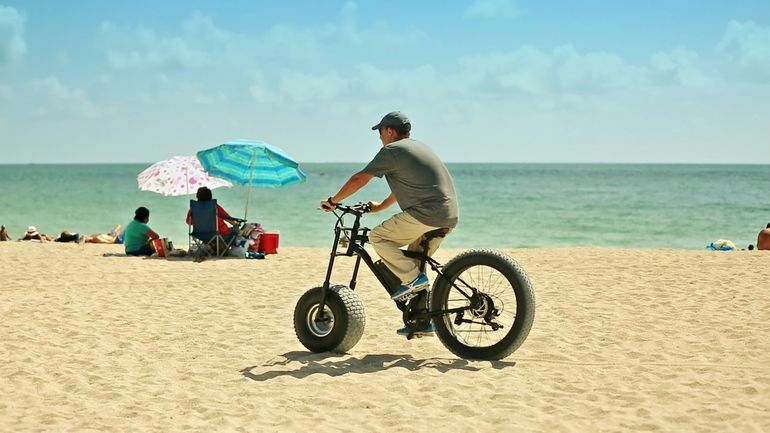 While all-terrain bicycles have been around for quite some time, most require packed sand for a smoother ride. 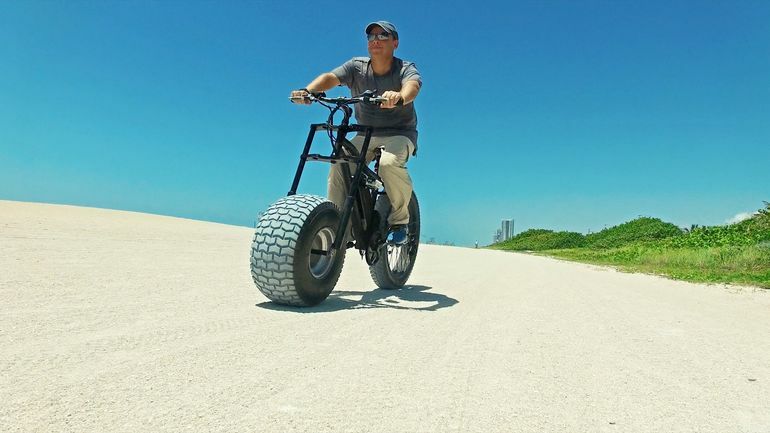 The new Xterrain500, on the other hand, is a one-of-a-kind contraption that allows cyclists to safely ride on loose beach sand. 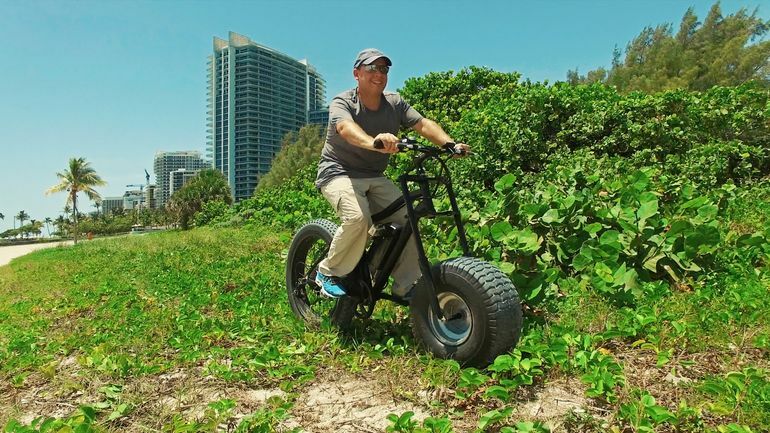 Designed by a Miami-based company, the Xterrain Electric Bicycle features a custom-built 10-inch-wide, 20-inch diameter front tire, which provides sufficient float for easy rolling on soft surfaces. 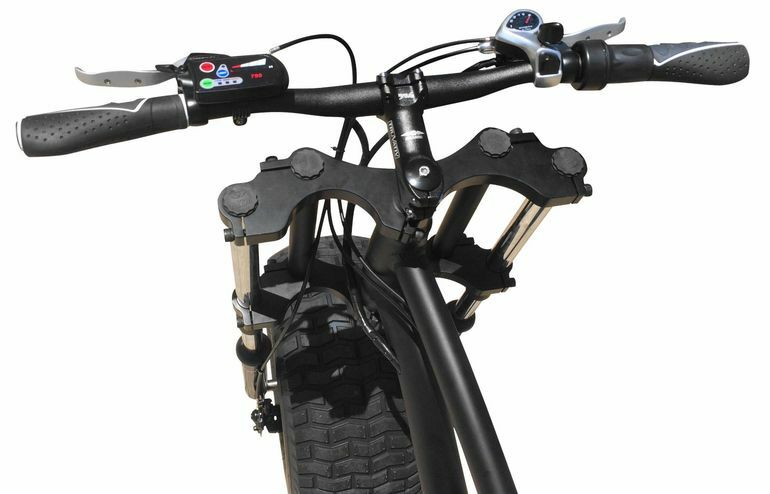 By contrast, the wheels of a standard mountain bike are only around 3 inches in width, while that of currently-available fatbikes measure up to 5 inches. 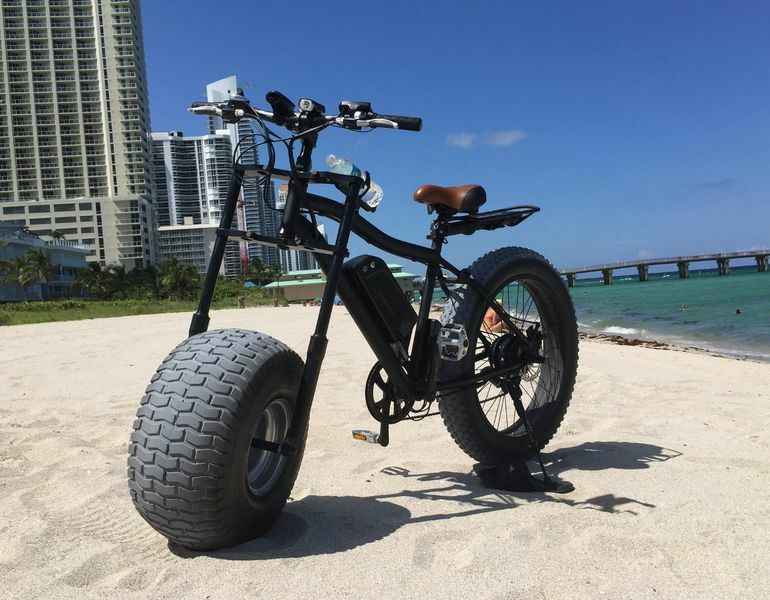 The bike’s rear end comes fitted with a regular 4.6-inch-wide fat tire, with a diameter of nearly 26 inches. 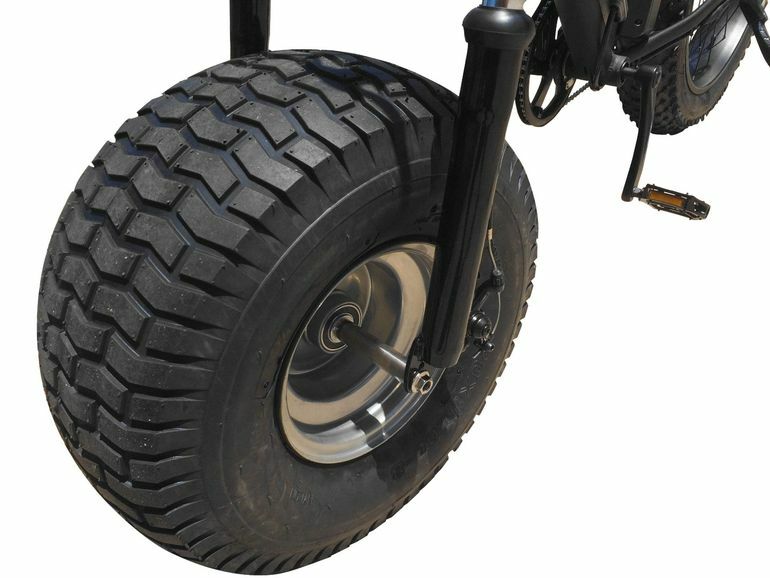 The differing sizes, of the front and the rear tires, actually provide adequate torque for smooth rotation. 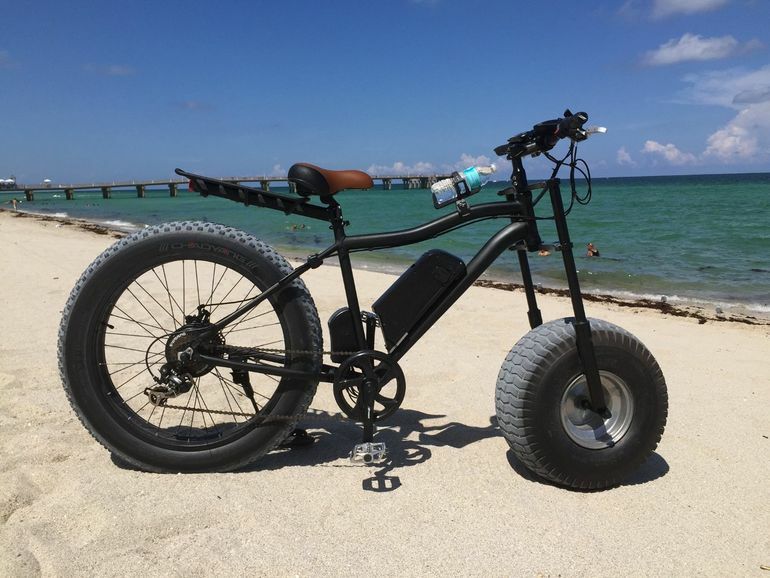 Additionally, small front wheels are usually known for their inability to roll over protruding rocks and roots; something that fatbike tires can easily ply through. When traversing uneven terrains, the user can switch the position of the tires, by bringing the RockShox suspension forks closer or farther away from each other. 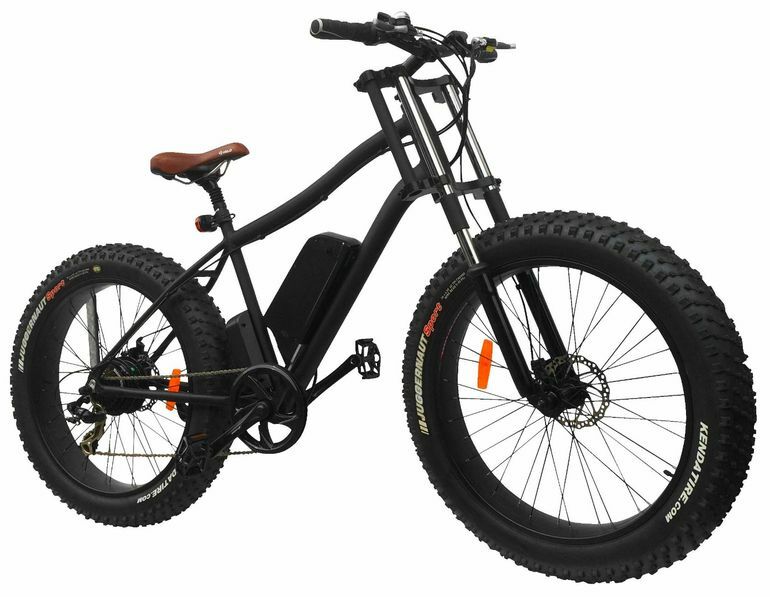 For comfortable, effortless pedalling, the bike comes equipped with a 48-volt 9-Ah battery, that in turn powers a 500-watt electric motor. 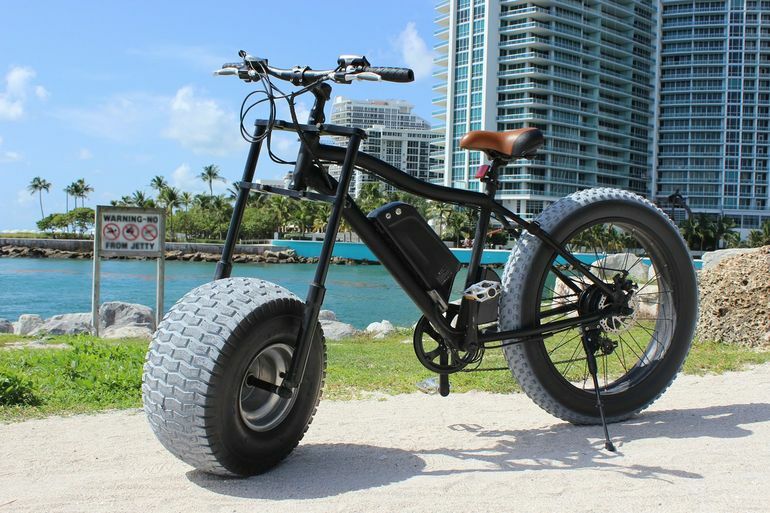 Providing speeds of up to 20 mph (around 32km/h), the battery lasts for nearly 20 miles (approx. 32 km) on a single charge. 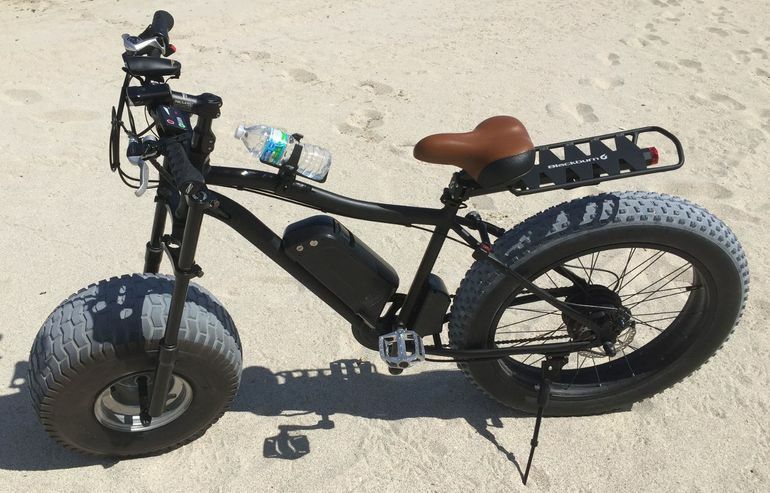 While the bike is currently not available for purchase, the company will soon embark on an Indiegogo campaign, in search for additional funding. Once fully developed, the bike will likely sell for around $1,600 apiece.